From what I have read… When it comes to looking at what things make people successful in life, it is apparent that if you snooze, you lose…literally! Hitting the snooze button too many times leaving yourself with limited time in the morning or with then-rushed routine, is just not a good way to start the day. Ignoring the snooze button and kicking off your day right seems to make a big difference. What are some key things we can do to start our day right? After going all night without water, we typically need to boost our hydration in the morning. Having 500 mL to 1 L with lemon can really get you going, and give a good kickstart to the day. By sweating it out before breakfast, it gets your blood pumping (endorphins!) and helps you to feel on top of your game all day (better focus) plus it makes your body burn more calories all day. Its a great outlet to burn off stress. Making good use of this time by adding some good stretching and thinking about strategies to make it a good day (inspire yourself!) while sitting in those stretch poses can really get you feeling more organized. 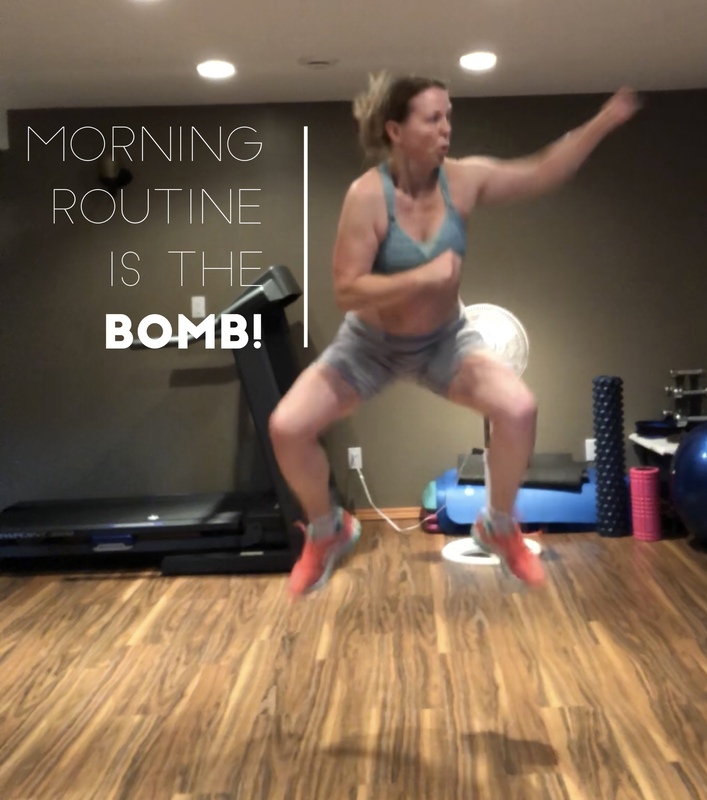 The bonus is, an early morning workout typically doesn’t get interrupted since everyone is still sleeping! Take 15 min to read or listen to books that get your fired up for your day. Good personal development books, tips for success and ideas for strategizing your business or workday can really get you feeling excited and positive for your day. During this time, think about things you are thankful for and happy about to really get the positive juices flowing. Spending even 10 minutes setting up a plan for your day can really make things flow more smoothly. What are the “musts” for today? Who are the key contacts or duties? Anything critical that needs to be done for the household to run smoothly? Anything that needs to be done or dropped off before or after work? What can I do on my lunch break at work that will be productive? Anticipating issues and having plan B already on your mind can really help you to control your day instead of having the day control you. Can this Work Even if you are not a morning person? If I think back to how my life was before I implemented a morning routine… hitting snooze button, barely having enough time to get ready for work, missing breakfast, starting off without a plan, in a rush and in a grouchy mood…it just was not a good scenario and I never EVER want to go back to that again! Many of the most successful people in the world, have at least some kind of early morning routine that allows them to be the most happy, productive and effective people. It will be worth it to implement some kind of morning routine into your life. I know it has made a big difference in my life. Be sure to download 7 tips to improve your self-discipline by entering your name and email address.